Serving Burlington, Oakville & Surrounding Area. Today’s modern bathroom styles have evolved into those with simplistic and clean lines, with geometric shapes and patterns. 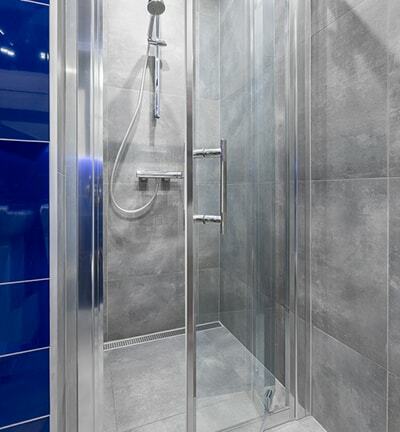 When renovating your bathroom, it is important to take into account the current themes and designs, especially if you are planning on selling your home in the near future. However, the bathroom is a place you will be spending a lot of time in, so you must find the room enjoyable – and functional – as well. Modern bathroom designs have a more natural feel; faux stone and pebbles have overcome the traditional nautical or ocean theme bathrooms by a long shot. 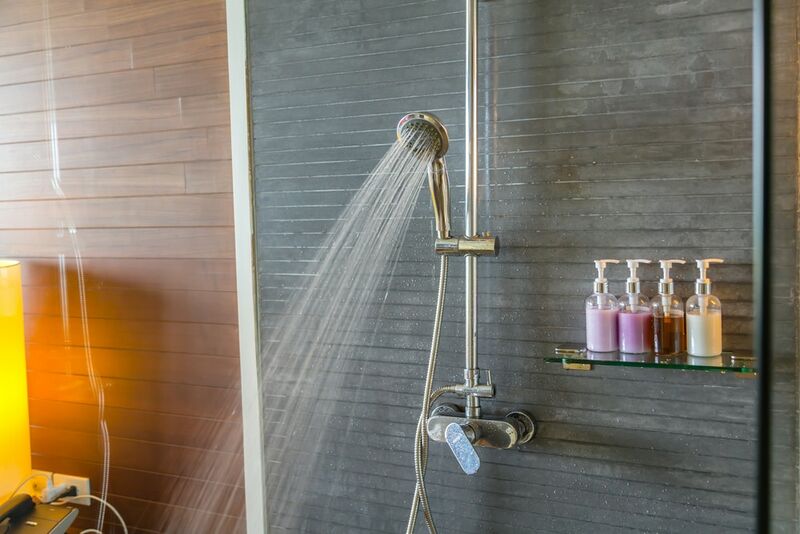 These bathrooms provide the overall feeling and sense of a high-end spa, and of bringing the outdoors indoors. One of the easiest ways to provide this look when renovating your bathroom is to use natural colours, such as creams and beiges, and stone colours like slate. 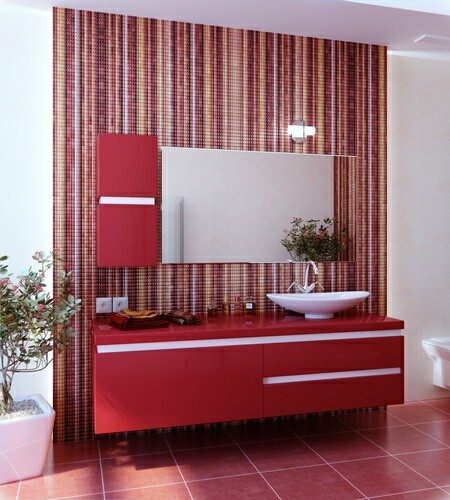 If you have the ability, naked stone on the walls or on the floor can lend itself wonderfully to these designs. Greenery, such as bamboo shoots or ferns, can bring some colour into the design without overpowering it. 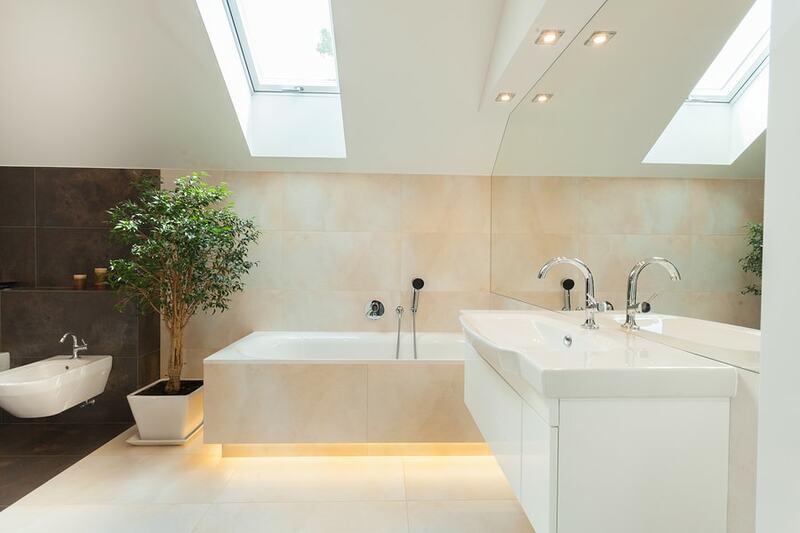 Just like any room, lighting is extremely important when completing bathroom renovations. From highlighting a dominant wall to improving the overall ambience, lighting can define – and change – the feel of a room almost immediately. 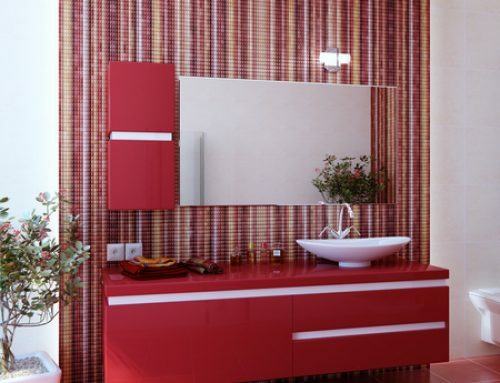 Gone are the days where one had few choices for bathroom lighting – with over the sink lighting being the most popular. 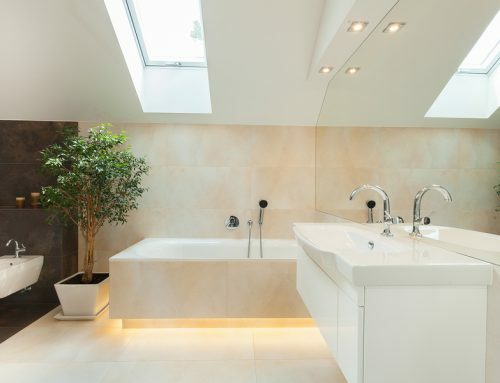 Now, you can decide to add recessed lighting for a softer feel, or if it’s available, add a skylight to enhance the natural light in your bathroom. Although the current style is for more geometric and linear shapes, the actual quality and type of light provided are more important than what it looks like. Technology has grown in leaps and bounds, especially in the past five years – and technology for the bathroom is no different. From low-flo toilets to blinds, lights and temperature that you can control with your smart phone, tech is here to stay. 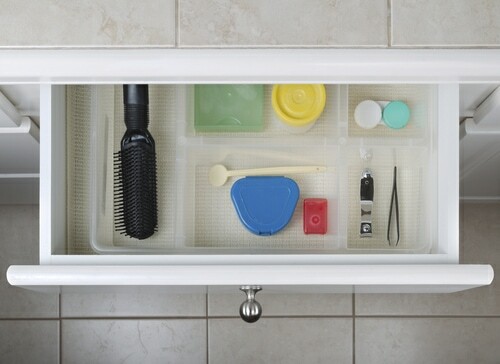 When choosing items to add to your bathroom during renovations, think of what you will use most. It is better to add Bluetooth speakers to your shower if you plan on using them – not just because they are the newest and best trend. When it comes to technology, the sky is the limit – some of the best tech is in use today. For example, it is now common to find touchless faucets – ones that have a motion detector underneath the tap, allowing you to wash your hands without touching anything at all. These faucets also allow you to determine the temperature of the water as well. 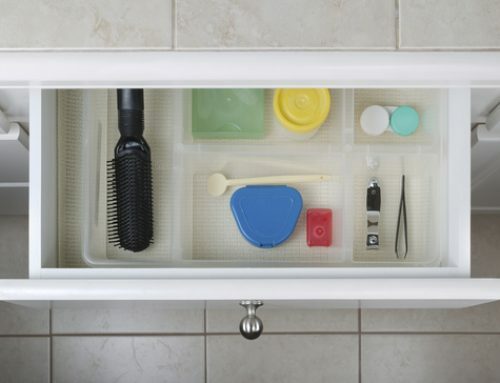 There are so many gadgets and enhancements to add to your bathroom; from cooled cabinetry, that provides you a chilled drink in addition to keeping your medicine cool, to WiFi scales that talk to your smart phone. The key is determining which technology would either make your life easier or enjoyable. 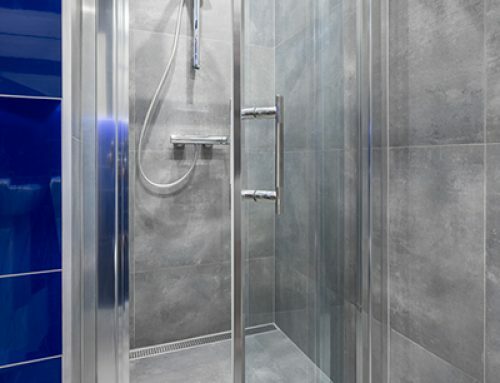 Opal Baths is family owned and operated by brothers Steven and Michael Kjarsgaard and has been in the Kjarsgaard family for several decades giving them over 70 years combined expert design and bathroom renovation experience in the industry. © Opal Baths & Design. All rights reserved.